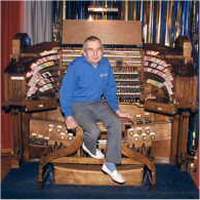 The Scottish Theatre Organ Preservation Society - STOPS - was established on 29th October 1972 at the opening concert of the Christie Unit Organ (from the ABC/Lonsdale Cinema, Carlisle) then newly installed in the Recreation Hall of Bangour Village Hospital, West Lothian, Scotland. 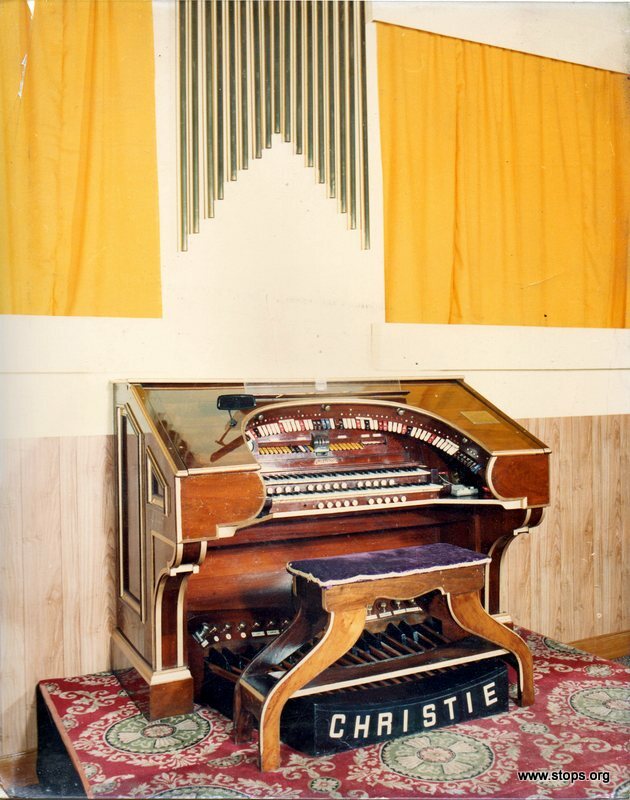 At that time, STOPS was the only dedicated Scottish theatre pipe organ orientated society and quickly took over the maintenance of the Christie organ, as well as the two operating cinema organs in Edinburgh, as well as carrying out the ongoing upgrading and enlargement of the organ in the Playhouse, Edinburgh. 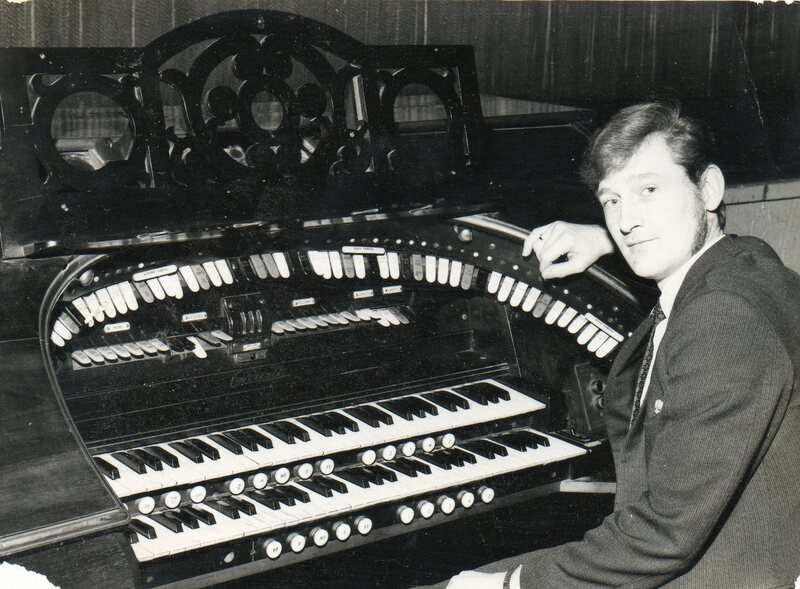 The first Honorary President of STOPS was Gerald Shaw, then resident organist at the famed 5/17 Compton organ of the Odeon, Leicester Square, London, who performed the opening concert of the Christie to a 'sell out' audience of over 600. 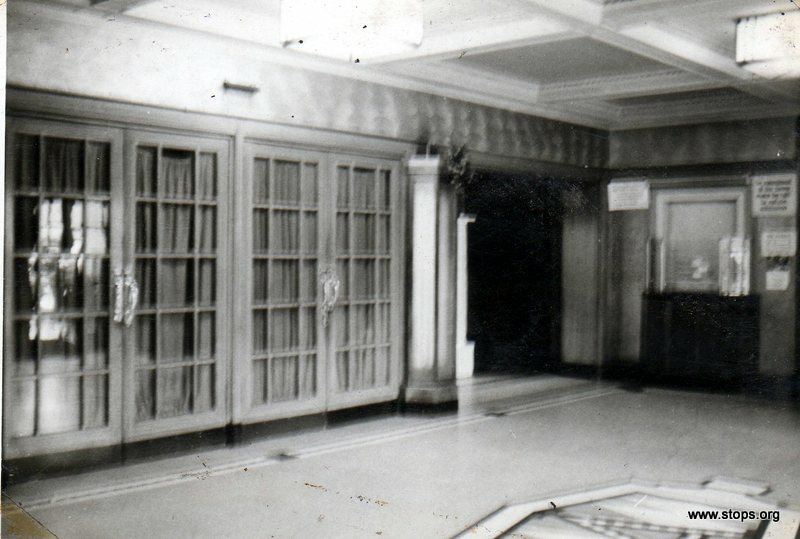 The society promoted regular concerts at Bangour which were performed by the leading theatre organists of the day, until given notice to vacate the premises at the hospital in 1979, and the organ had to be removed. Unfortunately, due to lack of storage space it subsequently had to be sold, and is now playing in Germany, having been installed initially in a private home near Harrogate. During its 7 year stay in Bangour, performances were given by many of the world's leading players to large audiences, members of which traveled considerable distances to hear this incredible little instrument. In addition to the public concerts, the organ was played every Tuesday night for a patients' dance, and on Sundays for an informal concert for the patients, who were also welcome to attend (for free) the formal monthly public concerts. It was also featured regularly on BBC Radio 2's 'The Organist Entertains'. 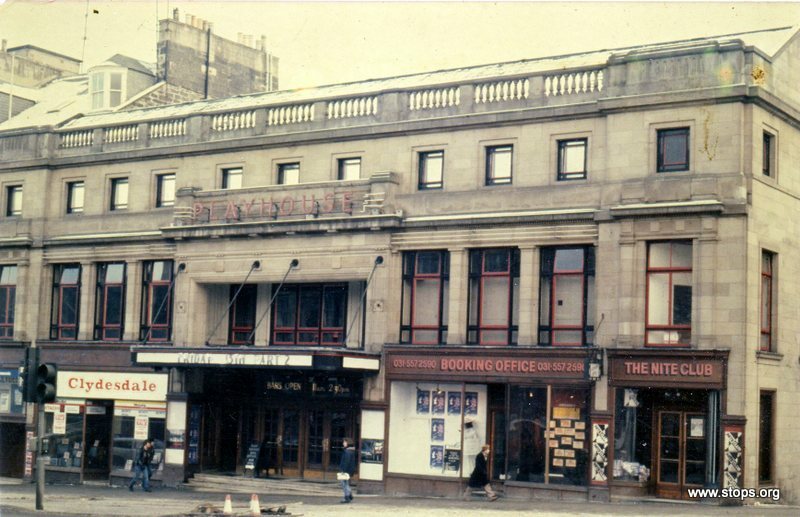 Prior to 1972, several founding STOPS members had taken over the maintenance and upgrading of the two remaining theatre pipe organs in cinemas in Edinburgh. 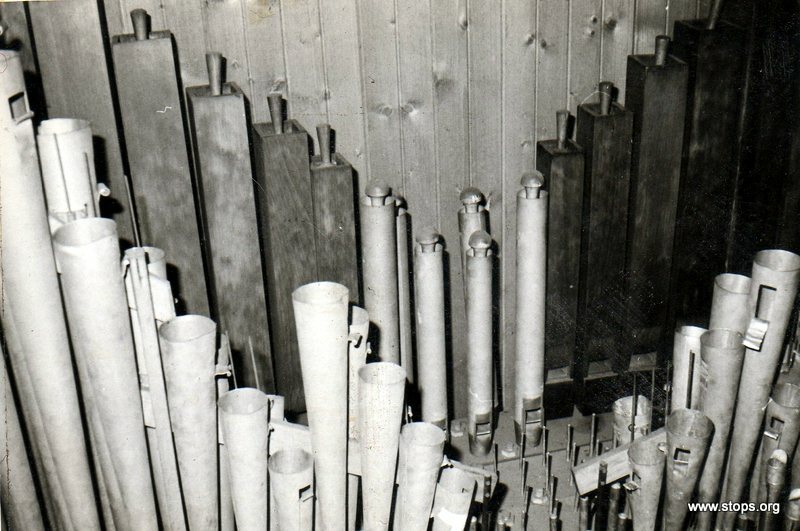 These were the HiLSDON 3/35 Orchestral Pipe Organ of the Playhouse, Edinburgh and the little 2/4 Ingram organ of the Astoria Cinema, Corstorphine, Edinburgh. 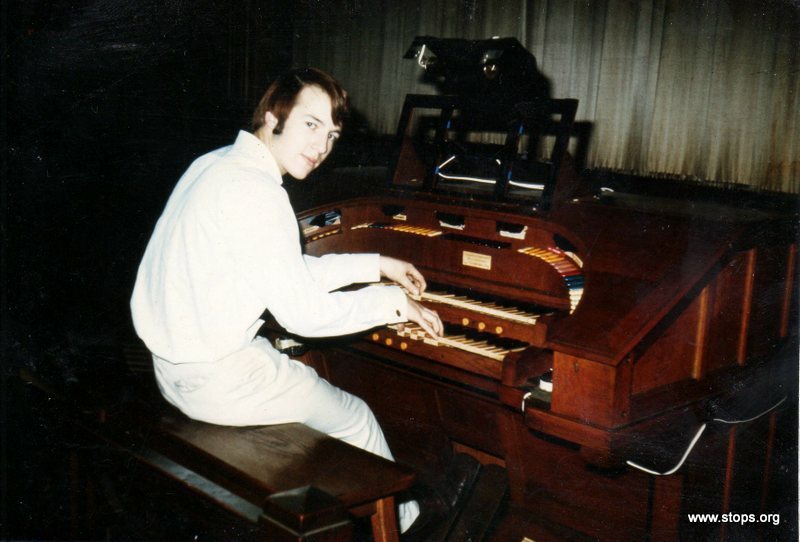 The society was originally launched as the 'Edinburgh Cinema Organ Society' in 1969 when work was begun on the Ingram organ, which Society was itself an offshoot of the 'Edinburgh Organ Society' which promoted domestic electronic organs. After the founding of STOPS, our Society quickly grew in membership from all over the country. 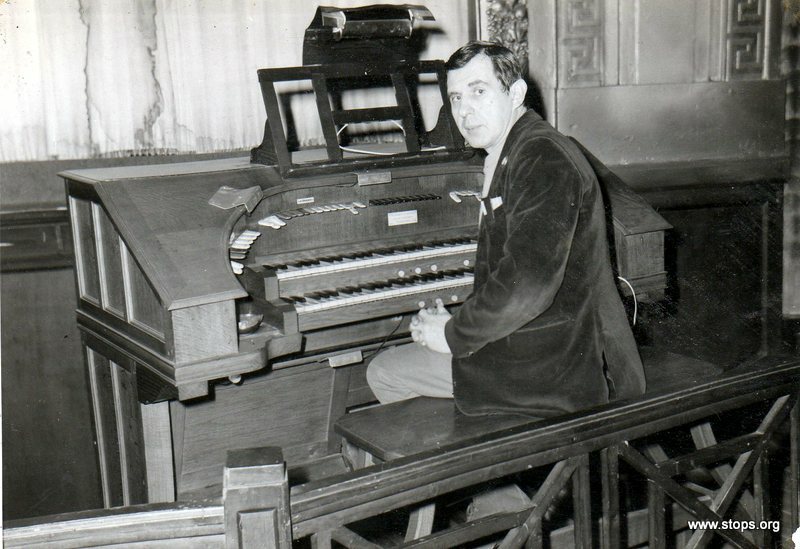 The co-founders of STOPS were Michael Beattie (1949-2003) Gordon Lucas (1932-2002) and Larry McGuire (1953 -), with the latter two being resident organist of the Playhouse and Astoria organs respectively, with Larry moving over to join Gordon Lucas at the Playhouse as Deputy Organist when policy changed at the Astoria, and the organ there was taken out of regular use. 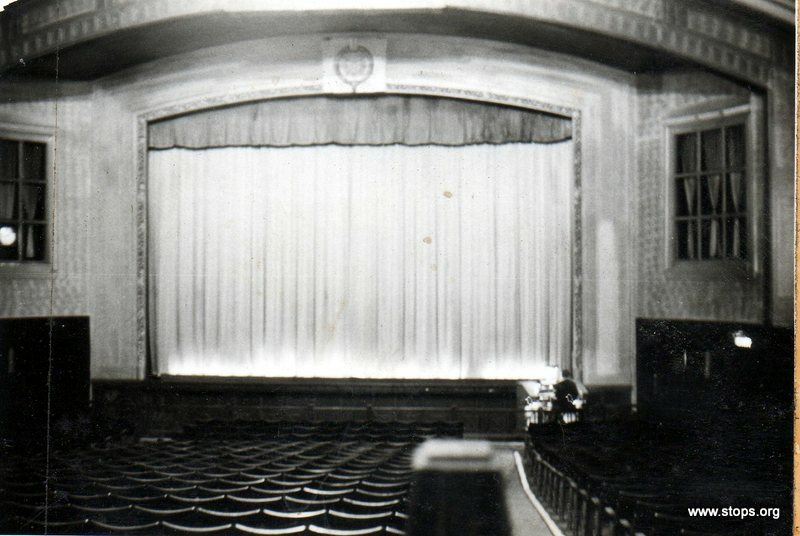 It was almost a ritual that a group of Society members would meet in the Playhouse on Friday and Saturday nights, being allowed free entry to the cinema by the management to stand in the Balcony to listen to the organ intermissions, then gather in the Restaurant afterwards to socialise. 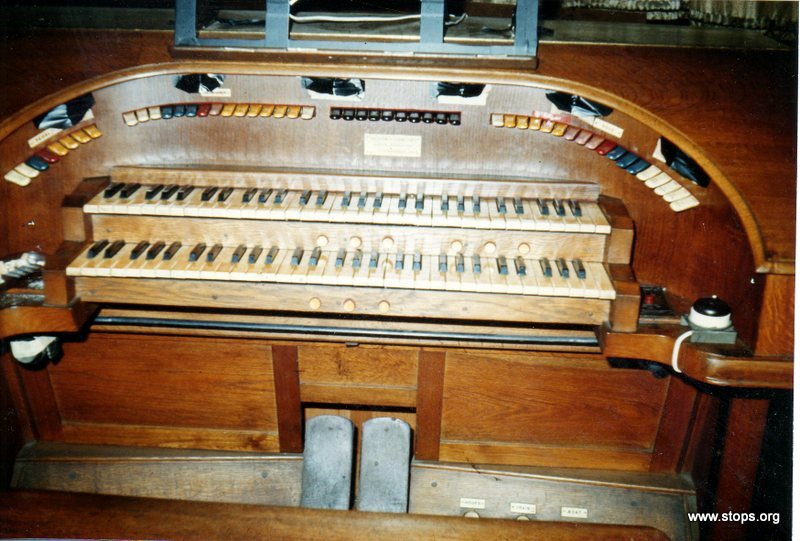 Many evening dinners were held in the Playhouse Restaurant when visiting organists were in Scotland to play either at the Playhouse or Bangour, with the organists then 'having a go' on the Hilsdon either during the scheduled Intermission, or at the end of the film performance. 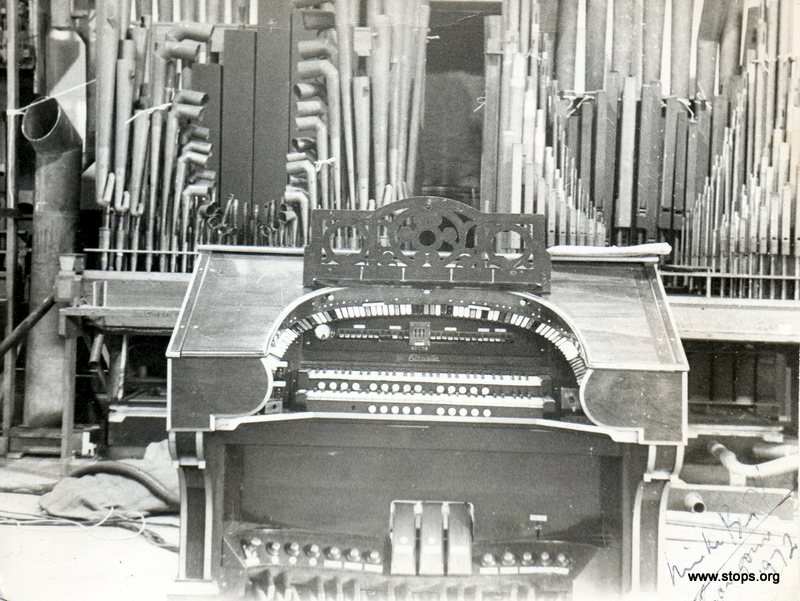 Within a year of us commencing work on the Playhouse organ, we were actually given keys to the building, to allow us completely free access at any time, and were treated in the same respectful way as its management, by both the uniformed staff (pageboys and usherettes) and the technical staff of the building. 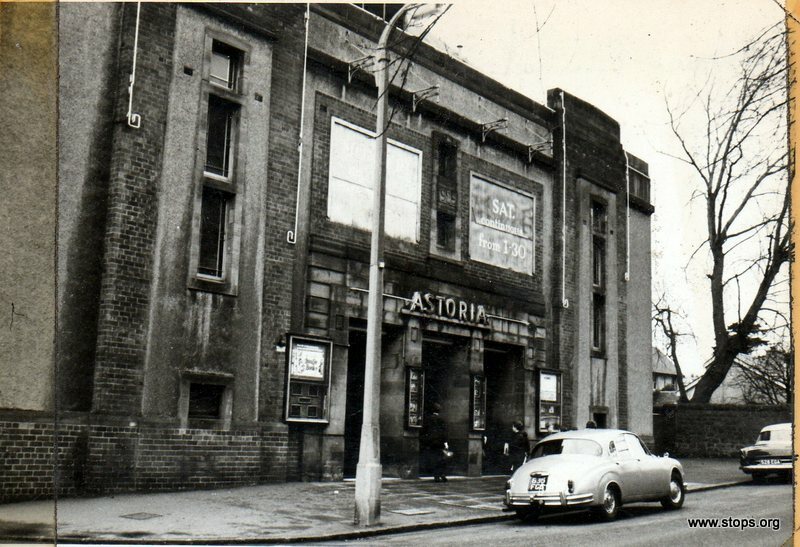 The Astoria Cinema closed in 1974, and was soon demolished but the little gem of an organ was saved and is now in storage under private ownership. After removal, it unfortunately suffered various losses over the years from different owners, but at least the console, pipework and percussions were intact. Although it is still in storage, the present owner hopes it has a good chance of being installed and playing again in the near future. 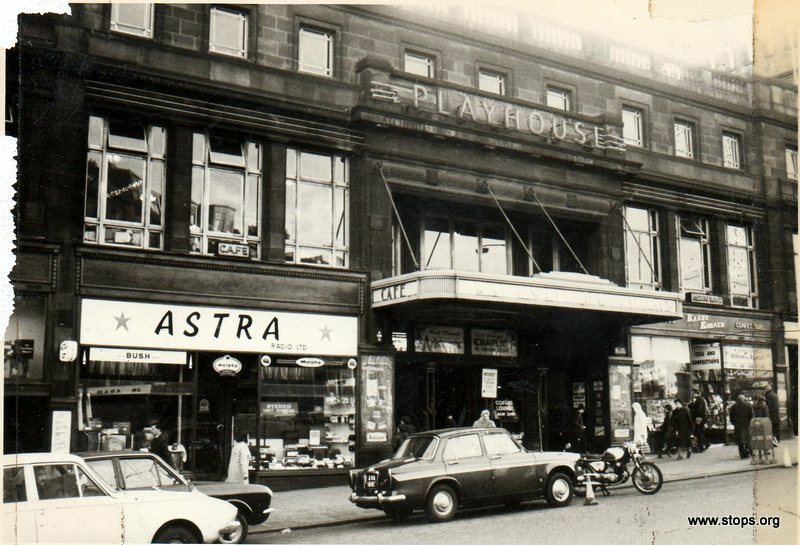 The Playhouse however, had closed as a cinema a year earlier than the Astoria, but due to pressure from STOPS was soon reopened for live performances, with the organ frequently being played by Larry McGuire for preludes or during performance intervals. 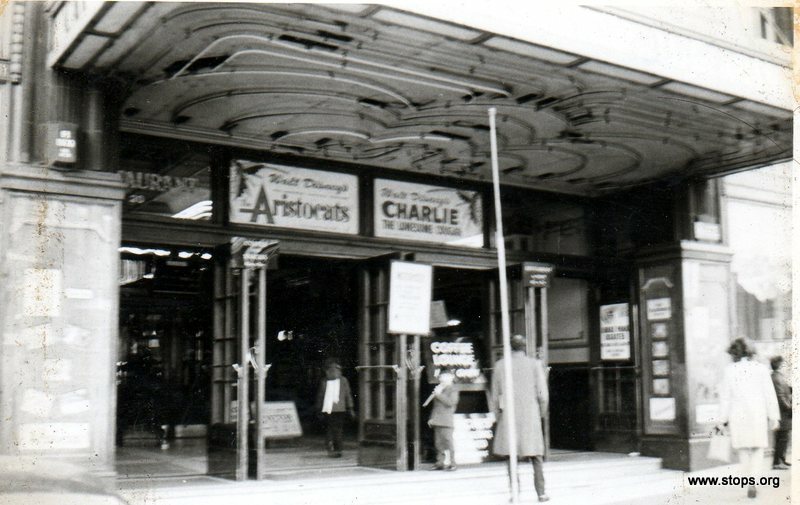 Promoting many concerts at the Playhouse over the years, STOPS regularly had full houses (3100 seats) for the Organ and Variety Concerts the Society presented, until yet another change of ownership in 1985 brought not only an end to that era, but permanently took the organ out of use in the theatre. 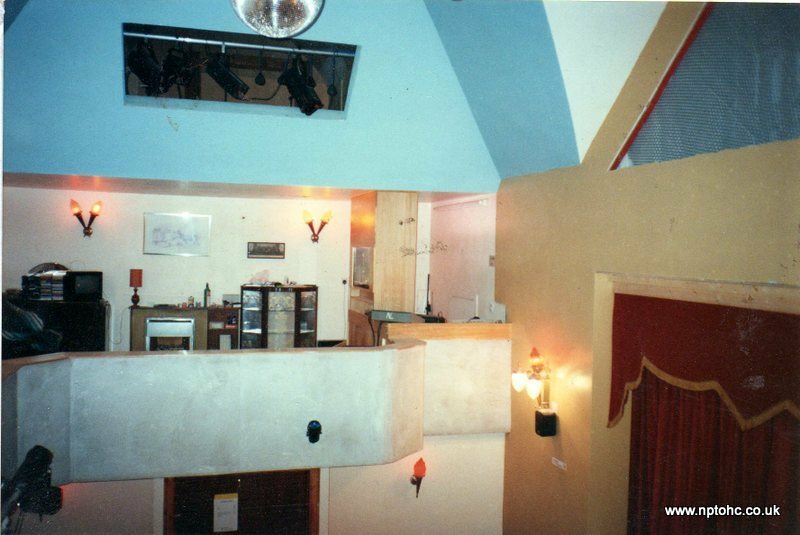 More pictures of the Playhouse are shown in the Menu Item above about our Unique Hilsdon Unit Orchestral Pipe Organ. 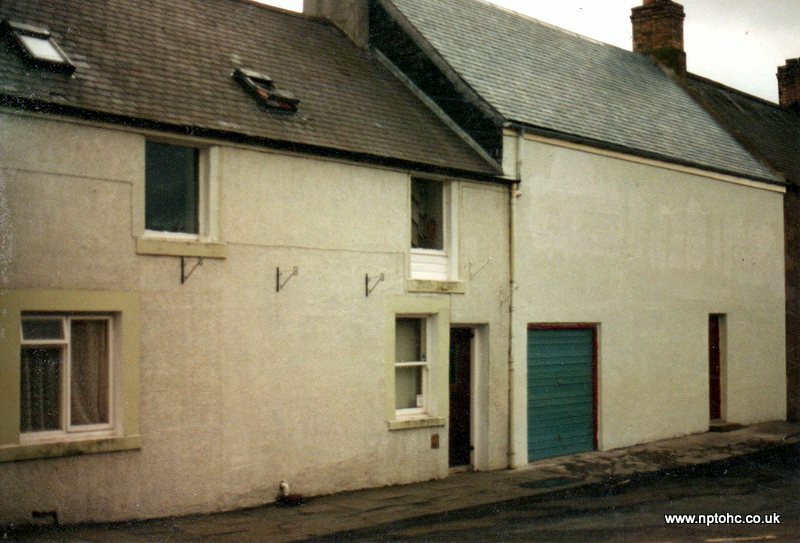 Subsequently Gordon Lucas and Larry McGuire obtained a suitable property in Greenlaw in 1991 to house their own organ project in a planned new music room. 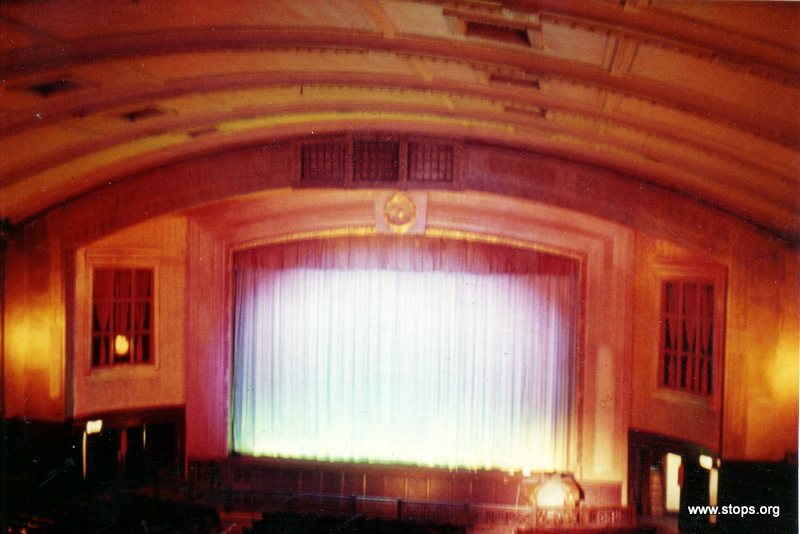 This was formed around the nucleous of the 2/8 HiLSDON organ from the Palace Picture House, Princes Street, Edinburgh, the sister cinema and organ to that in the Playhouse. 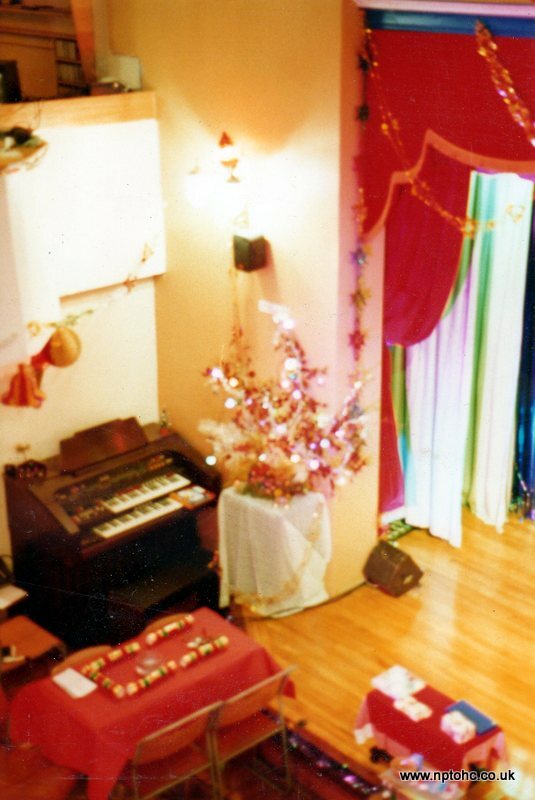 Naturally STOPS were soon invited to use this 'music room' as their base. 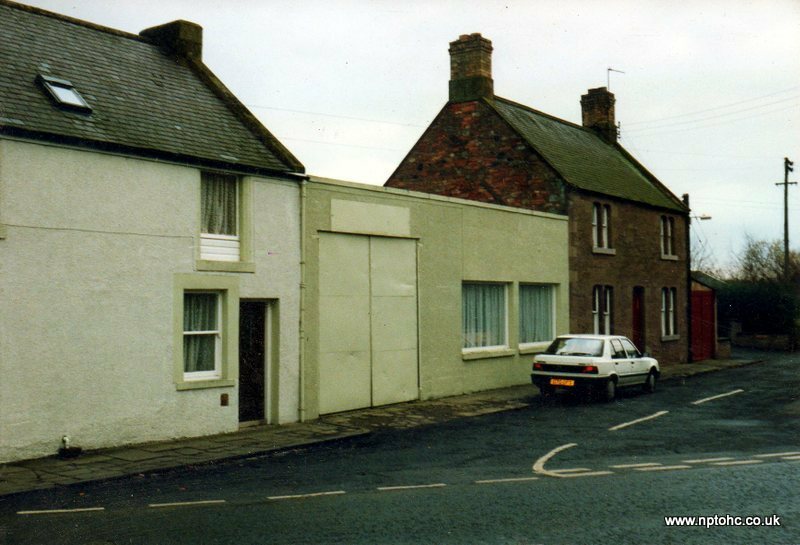 Late in 1992, a new phase in STOPS history started as the 'New Palace Centre' was formed from Gordon and Larry's Music Room. 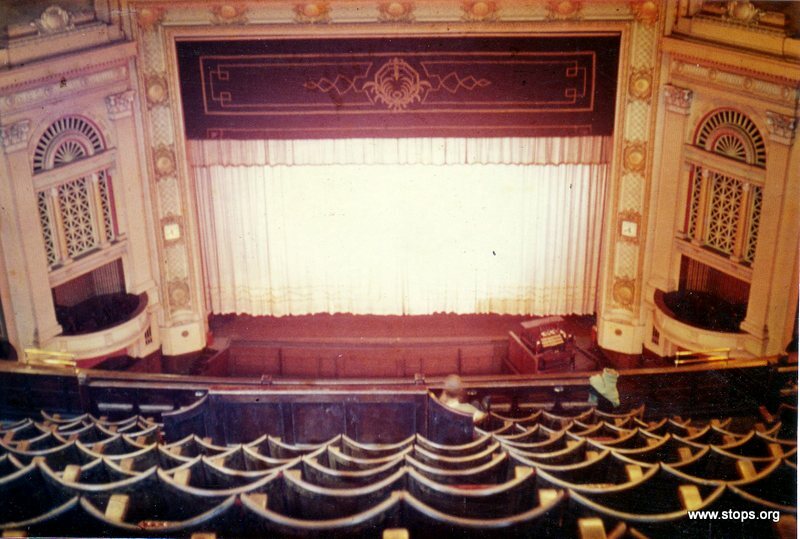 In 1995, following a Planning Application to remove it from the theatre, the organ of the Playhouse was donated to STOPS by Apollo Leisure, the then owners of the theatre, with Historic Scotland insisting that to safeguard its future, and as it had suffered some considerable damage over the previous 10 years, it should be removed, rebuilt and amalgamated with its 'little sister' in Greenlaw. And so a new phase in the Society's history was begun, and STOPS is now preserving the best of the craftsmanship of the firm of H HILSDON & Sons of Glasgow in a single unique instrument. A. Cyril Woods and Lord Steel of Aikwood, with the present Honorary President being Donald McKenzie, who by coincidence, is the current organist of the Odeon, Leicester Square. Honorary Vice-presidents at this time are Paul Roberts and Matthew Bason, with past Honorary Vice-presidents having included Mike Slater and David Hamilton. 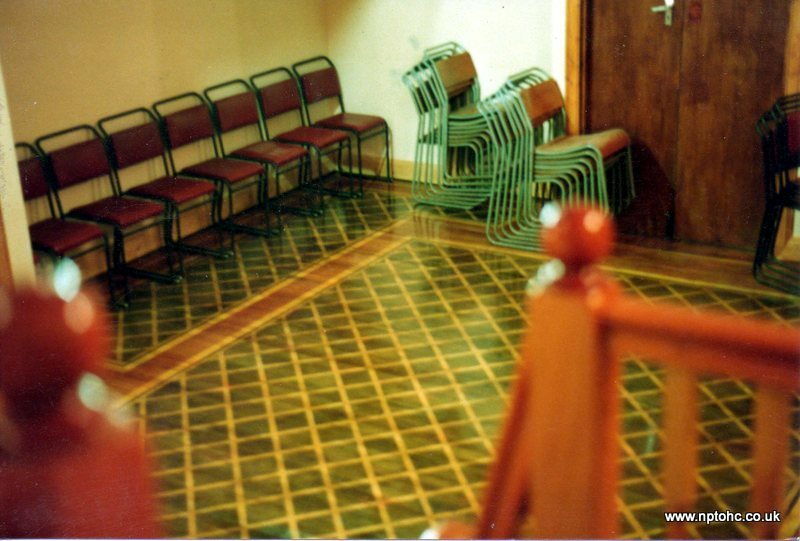 Since 1993, when the Society first had the 'grace and favour use' of the New Palace Centre, the building has undergone a huge transformation. It was adapted for public use and officially opened on Sunday 30th October, 1994, by the Rt. Hon. 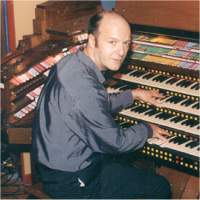 Lord Steel of Aikwood, when a concert, to a capacity audience, was performed on the then 4/12 Hilsdon organ by Joe Marsh. Subsequently, concerts, tea dances, silent films, and all sorts of other types of events have been held in the auditorium, with appeal for all age groups. 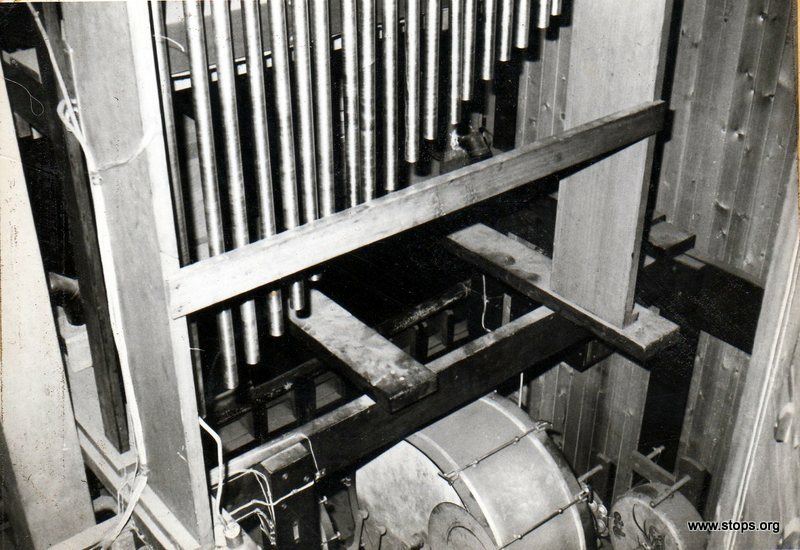 Following the donation to STOPS in 1995 of the organ from the Playhouse, Edinburgh, that organ was removed by a team of volunteers and transported to Greenlaw, and over the next few years, its parts and pipes have been slowly refurbished and added to the organ in the Centre. 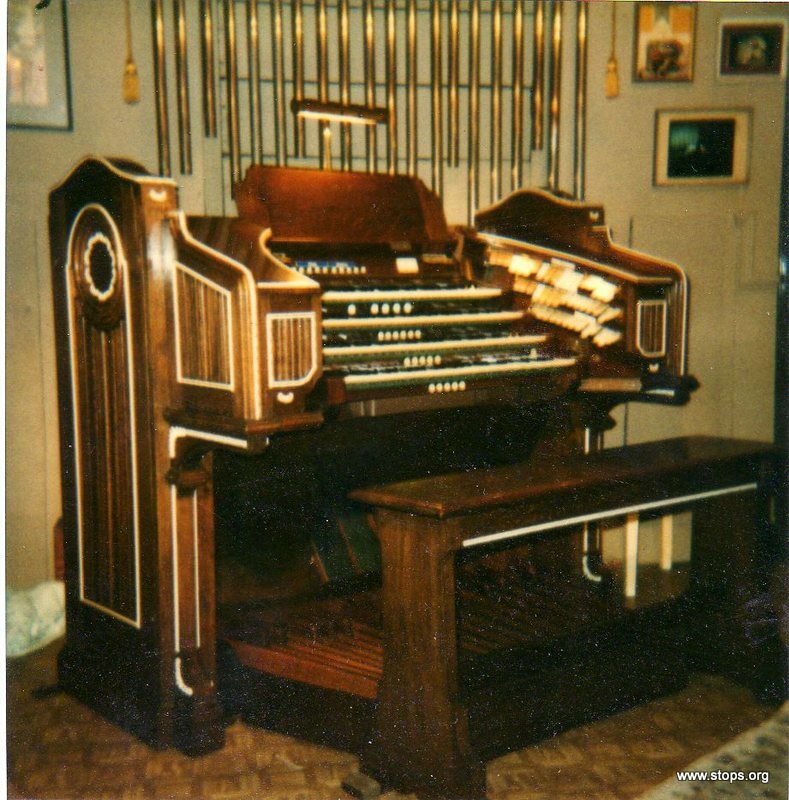 The story of our Unique HiLSDON Unit Orchestral Pipe Organ is given in the section of the website devoted to the Hilsdon. In order to house the huge organ of the Playhouse though, the interior of the auditorium has had to undergo several minor changes, resulting in the space as we see it now. With the aid of a Heritage Lottery Grant in 2005, the Society bought the building outright, then a subsequent Grant at the end of 2006 from the Awards For All Scheme, topped up with a Grant from the Community Support Fund of Scottish Borders Council, allowed us to create a Coffee Bar and servery in the former Interval Tea Room and to install new advertising signs and semi-glazed front doors. 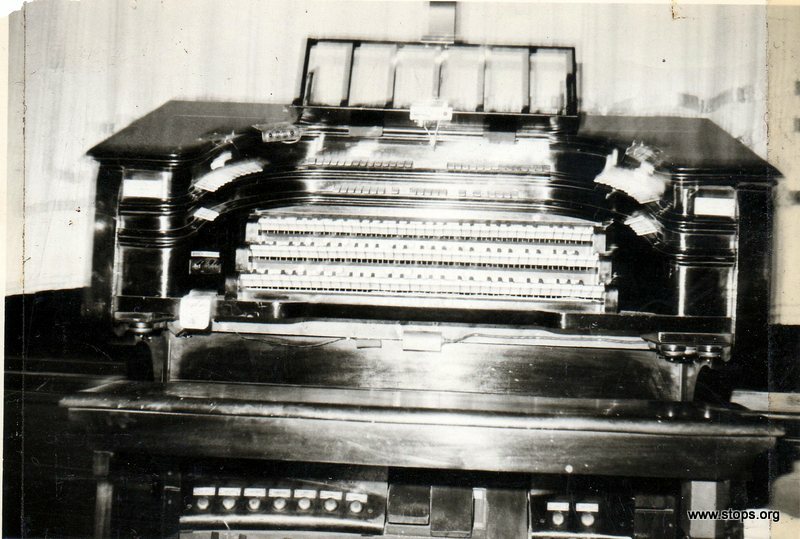 It was at this time that the building was formally renamed as the New Palace Theatre Organ Heritage Centre. In 2008, the auditorium was extensively redecorated, and 5 hand-painted murals were affixed to the ceiling, which were donated to the Society by artist John Worthington-Flitcroft. Details of these murals are given in the New Palace Theatre Organ Heritage Centre's website. Because we have never had a 'proper' console to control the combined Hilsdon instruments, the Society took the decision to build a new console, using historically accurate components, and this is now almost ready to control our Unique HiLSDON Unit Orchestral Pipe Organ. We look forward to an exciting future, when yet more world famous organists will grace our stage to perform for us.